Discover Tokyo as you would if you were visiting a friend who lived there! With a full day to explore, discover the real Tokyo with a like-minded Local Host who will create an personalised experience customised to include the famous attractions you’d most like to see, as well as revealing a few hidden gems along the way! See the city’s highlights or discover local neighbourhoods (or do both! ), get oriented and immerse yourself in Tokyo’s unique culture with a Local Host by your side to navigate. Ditch the guidebook and see Tokyo like a local! On this personalised experience, join a like-minded Local Host who will share insider insight and tips so you can get acquainted with Tokyo’s culture. 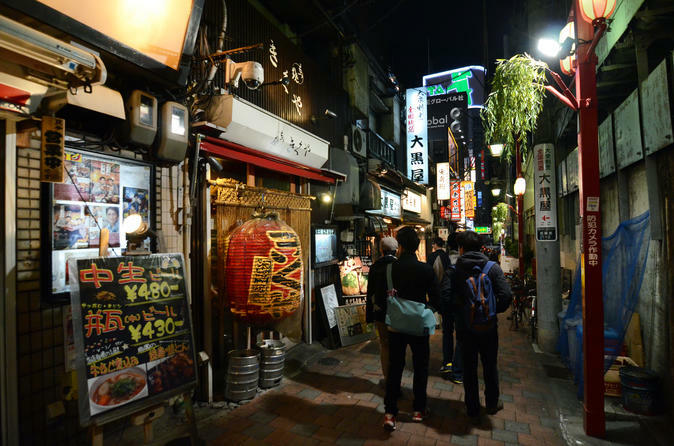 They'll also introduce you to Tokyo's famous sights as well as local hidden gems. You could start the day by visiting Asakusa with famous its Senso-ji Temple and nearby Asakusa-jinja Shrine, or perhaps take the subway across town to Shibuya. Maybe you'd like to walk across the famous Shibuya Crossing and up into one of the city's best shopping districts - the possibilities are endless! Eat like a local when you stop for lunch at an authentic spot recommended by your Local Host that suits your tastes and budgets. Snack on delicious local street food along the way too - your Local Host will explain the different options and any dishes you may be unfamiliar with!